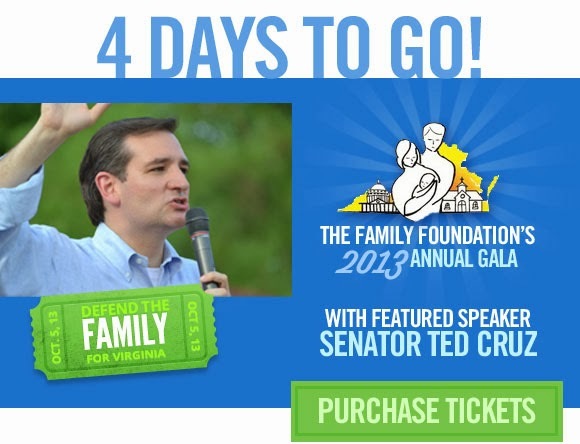 In four days, Sen. Ted Cruz will address the largest political gathering of conservatives in Virginia. Do you have your tickets, yet? On the day he speaks, it will be exactly one month to the election of a new governor for the Commonwealth and we're building momentum! I personally invite you to come and listen to Ted Cruz, along with Ken Cuccinelli, and over 1,000 politically-active conservative Virginians. Please click and follow this link to purchase your tickets before they're sold-out!